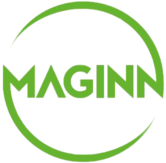 Contact - Maginn - Woodworking Machinery and Tooling Dublin 12. Mon – Thur: 9 am. – 5:30 pm. Fri: 9 am. – 5 pm. Sat: 9 am. – 1 pm.